Periphery HAIL STAN in Philadelphia Reviewed by David Zeck on April 15, 2019 . There are very few bands in the metal world today who bring something fun and exciting to the table. Periphery (3Dot Recordings), whom just released their sixth studio album Periphery IV: Hail Stan on April 5th, do just that. 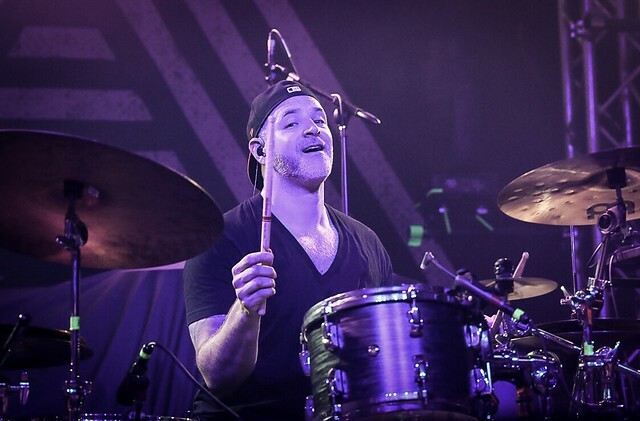 The band’s concoction of musical technicality with catchy lyrics and the soaring vocals of singer Spencer Sotelo make every release not only better but also gives fans a chance to hear something new from the guys. Hail Stan marks Periphery’s first album not on Sumerian Records. A move that was unexpected and confusing at the time seems to have worked to their benefit, giving the guy’s the opportunity to sound and operate the way they would like under their own supervision. Periphery IV sees Spencer, Misha, Mark, Matt, Jake and Nolly (who no longer performs live with the band but is still a major part of recording) putting out some of their heaviest, melodic and in my opinion best material to date. The band recently released a documentary chronicling the making of Hail Stan. It’s up now on the band’s YouTube channel HERE! 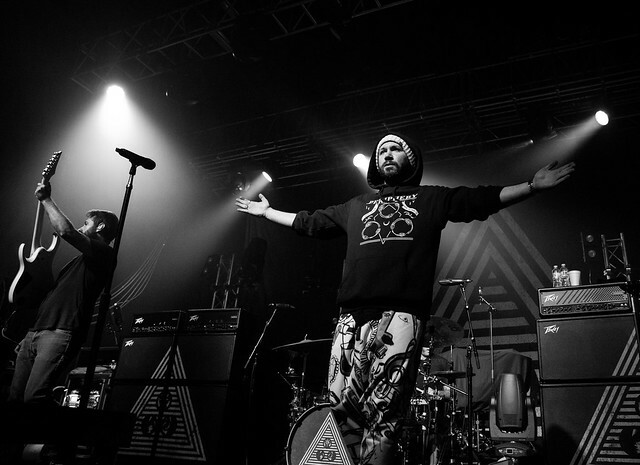 As with most bands and new albums, Periphery finds themselves out on tour in support of the record. 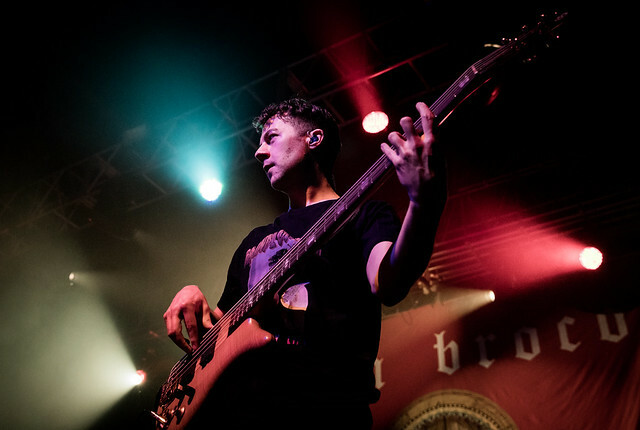 We caught them on the Philadelphia date with Don Broco at the sold-out Franklin Music Hall formerly known as the Electric Factory. Up first was the UK’s Don Broco (Sharptone Records). The band which released their latest album Technology back in February 2018 made quite the impact on music fans in the U.S. It shows too that Philadelphia fans came out nice and early to catch the British four-piece, who I would describe as rock with a party side. The band kicked off the album cycle with the single “Come out to LA” last year and fans have been paying close attention ever since. If you like the band on record, you’ll surely love their live performance. The Pennsylvania crowd sure did. 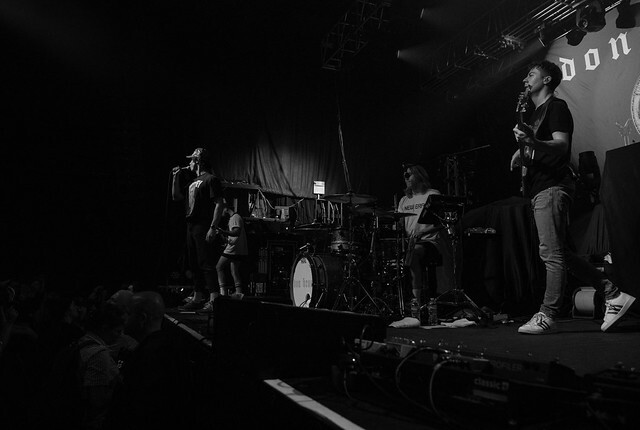 Bright lights illuminated the band throughout the 30-minute performance which featured frontman Rob Damiani dancing across the stage and reaching for crowd surfers coming over the barricade. The Philly crowd was singing and dancing to every track the guys performed, making Don Broco seem like they have been huge in America forever. During “You Wanna Know” a young lady dressed in a bunny suit, or what appeared to be a bunny suit, crowd surfed for what felt like the entire song, each time getting closer and closer to Damiani’s high five. 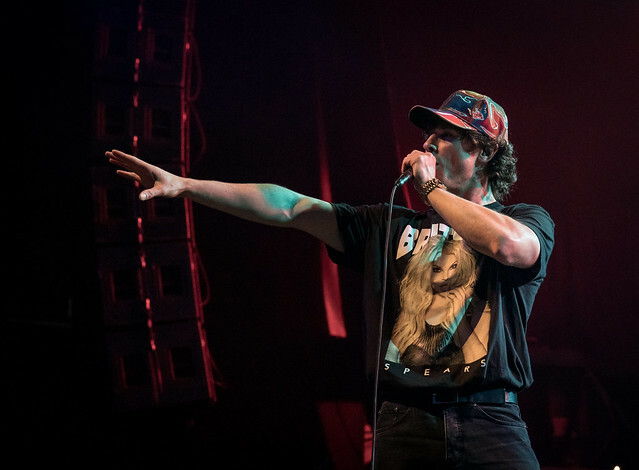 During “T-shirt Song” the crowd could be seen waving their shirts around almost in perfect harmony with one another as frontman Rob Damiani gave a little backstory on the song’s disco origins. As the band performed their final song “Pretty”, they received a huge screaming ovation from the City of Brotherly Love. Next up was something a little heavier, the return of Periphery to Philly. Before the band could even step foot on stage the Franklin Music Hall echoed with chants of “Hail Stan, Hail Stan, Hail Stan”. As the venue lights lowered the band made its way on stage, each band member raising their drinking cups in the air to greet the sold-out crowd. 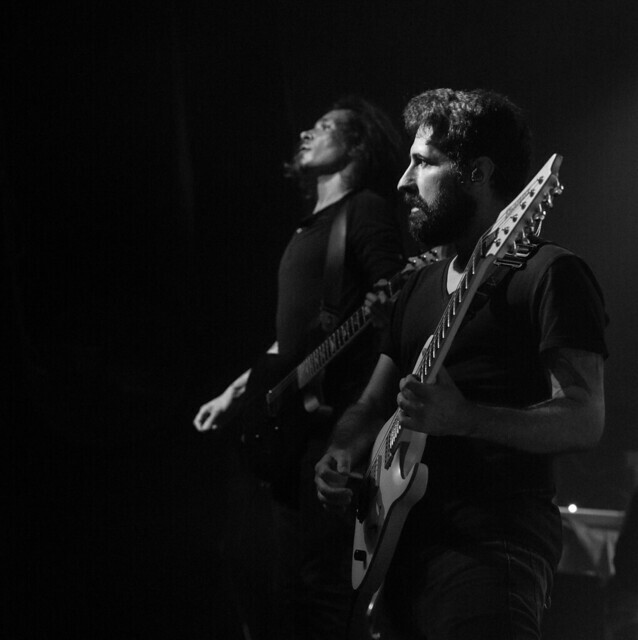 Periphery began their set with the track “The Bad Thing” off of 2015’s Juggernaut: Omega. Just lile that the crowd ignited into a battlefield with a circle pit opening in the middle of the floor. The set just got heavier from there with material from Hail Stan and Periphery III: Select Difficulty heavily rounding out the bands 7 song setlist. 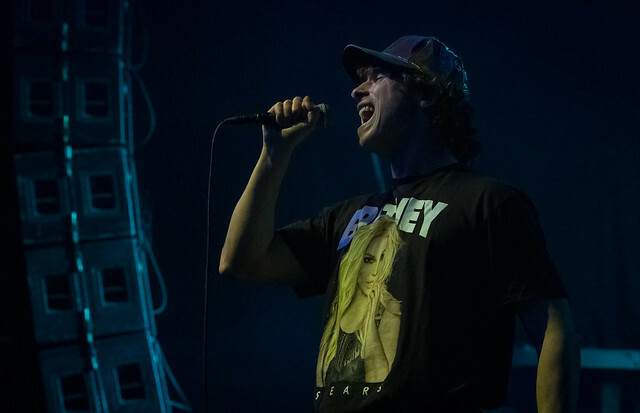 Vocalist Spencer Sotelo’s live vocal range is equally as impressive as it is on the albums, belting out unique high notes most notably on the Hail Stan track “Blood Eagle” with such power it felt like it shook the venue. 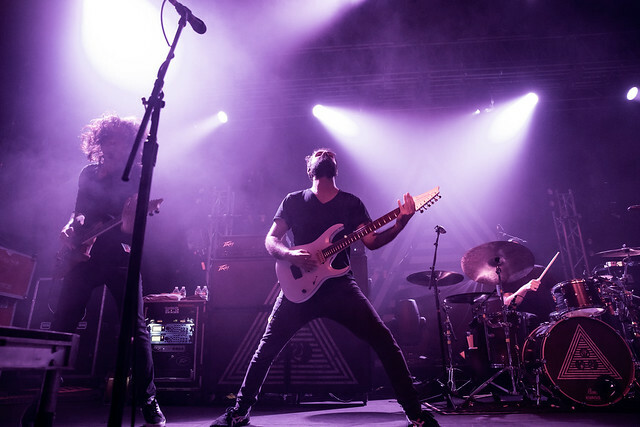 Guitarist’s Misha Mansoor and Mark Holcomb each get to show off their licks throughout the band’s set and drummer Matt Halpern is a master on his kit and one of the most exciting drummers to watch perform live. 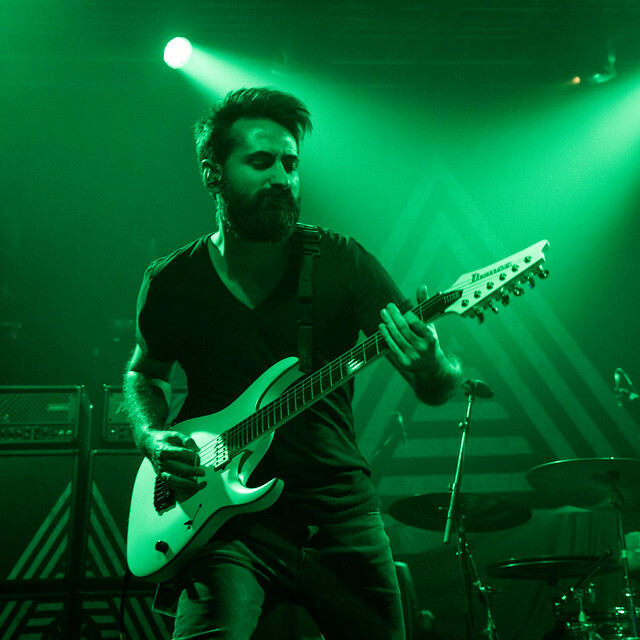 Periphery is calm, cool and collected on stage. Often times you feel like you’re watching best friends rather than bandmates and the chemistry shines brightly between all the members. During “Garden In The Bones” Misha, Mark and Jake Bowen could be seen fist bumping or playing circled with each other trading off inspiration. 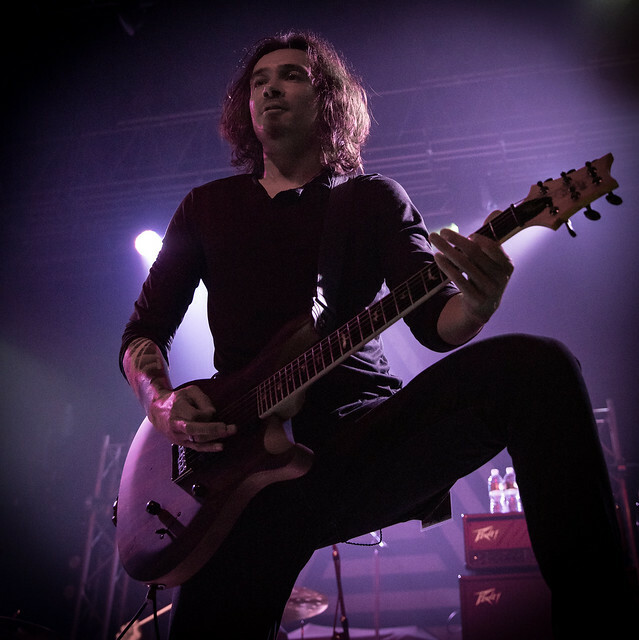 Vocalist Spencer Sotelo made sure to express to the crowd that it was by far the best crowd they have had in Philadelphia and expressed the whole band’s gratitude for the continuous support they’ve received from fans. The band closed out their 45 minute set with “Masamune” from Periphery II’’s: This Time It’s Personal much to the fans’ excitement. I left the show wanting more Periphery. I’m not saying they didn’t deliver, but rather I can’t get enough of the band. They’re fun, heavy, catchy and phenomenal performers. I’m really looking forward to catching the guys on their headlining run, whenever that gets announced. If you’ve never seen these guys live you’re missing out and I’m not just saying that. These boys are impressive in every aspect. You can also catch the guys live right now on tour with Dance Gavin Dance & Don Broco, see the full list of tour dates below. SAT, APR 20 – EXPRESS LIVE!